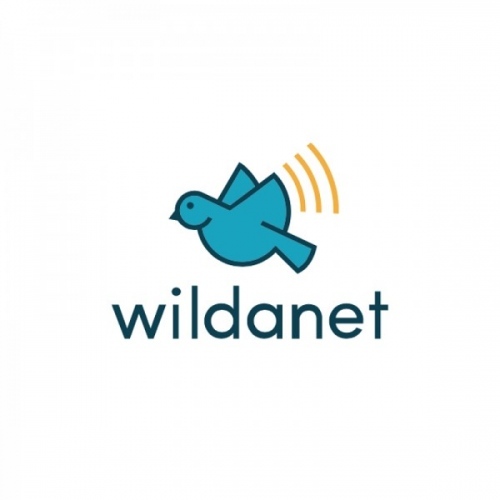 Fixed wireless broadband ISP Wildanet is on course to complete a successful crowdfunding raise of over £1m thanks to at least 320 investors. This will enable them to expand their network to reach around 12,000 customers in some increasingly remote rural parts of Cornwall, Devon, Dorset and possibly even South Wales. At present more than 90% of premises within Cornwall are believed to have access to a “superfast broadband” (24Mbps+) network and it’s one of the only parts of the UK with a significant coverage of Openreach’s (BT) ultrafast FTTP “full fibre” (FTTP) network. Under the Superfast Cornwall project the county also holds a general ambition to deliver 99% coverage of superfast broadband by the end of 2020. The situation in Cornwall has however left a fair few communities with poor coverage and this is where Wildanet comes in (assuming the forthcoming 10Mbps+ USO from 2020 doesn’t solve them first). The ISP is still fairly young but they’ve already built a 50Mbps capable wireless broadband network for homes around The Lizard (peninsula), with speeds rising up to 1Gbps for business connections. The aforementioned network is currently said to cover 4,000 premises in Cornwall but they’d like to go much further and are now targeting 12,000 premises across several nearby counties. 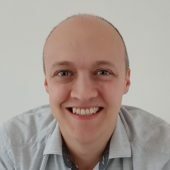 In order to do that the ISP set-up a Crowdfunding pitch with Crowdcube.com and last week they surpassed their initial £1 million funding target. The amount raised so far includes £500,000 of proposed investment by the Cornwall and Isles of Scilly Investment Fund (CIoSIF) managed by FSE Fund Managers, which is still subject to due diligence. To address demand and provide choice, Wildanet has developed a sustainable Fixed Wireless Network model to deploy into topographically challenged areas such as Cornwall, Devon, Dorset and South Wales. Competition in Cornwall (which is consistently lacking), means little choice and is why Wildanet plan to focus there immediately to grab a large market share. In 5 months they have built an Operations Centre as well as network around The Lizard, passing over 4,000 homes and businesses – a hugely cost effective passing rate compared to fibre or satellite. A successful trial in Gweek has resulted in some early delighted customers and full marketing is now underway. The management team believe the quality of service and simple pricing structure will help them obtain over 12,000 customers in the next 3 years. We’ve not seen many ISPs use the crowdfunding approach before (although we have seen a few communities adopt it to help co-fund deployments with ISPs) and so it will be interesting to see how Wildanet gets on over the coming years. Not all wireless providers have been successful over the longer-term and it’s unclear how much take-up Wildanet has managed to convert in their existing network area, but we wish them well. A video on the project can be found below and credits to one of our members (Glovepup) for spotting this. There’s no business plan for the pitch and their forecast is wildly optimistic. They also compare exit premium with Relish (who owned valuable spectrum) and claim they are 5G ready! Read through the discussion and you’ll see the holes. How it could pass investor due diligence, I don’t know! I’m all for startups trying to make an impact but learn to walk before you run. This strikes me as another bunch just discovering Fixed Wireless and thinking it can solve everything! Which discussion / page is it where they answer with 70 as I haven’t yet been able to pin it down? How many customers have they said they’ve actually got today then? End of Sept 70 customers, with 315 “awaiting connection” which you assume means waiting for an area to be built. In deep rural areas, investing in fixed wireless looks risky now 4G operators are starting to make (almost) unlimited data packages available. Its a shame as they could create a nice little network focusing on the small number of properties in cornwall that need an interim solution before a FTTP rollout reaches them, rather than this nonsense of selling at £2-3k per customer in 3 years time! It may be some pockets remain long term (ie they stay wireless or go 4/5G) I can’t see fttp ever going to some locations its just not worth the cost unless gov writes a blank cheque. But I’m not sure that will sustain a biz – more likely they will be taken over by a larger rival. £1700 even with commercial additional won’t get you very far at all in sufficiently rural areas. I know of houses far from remote but say 1000m from the village fibre joint and cost many times that amount to connect. The trouble Jim is those figures only work with a good degree of clustering. Many of the remote areas you have houses in 1s and 2s with sufficient gaps to make many of the economies of scale difficult to achieve. FttP so far has very much cherry picked (even in rural cases) the easier locations and the really hard stuff has yet to be done. For this company to reach 12k subscribers you are not going to find enough just picking up 1 and 2 remote outliers, you need some density to generate a return on the mast. FTTP has delivered to some really rural locations not just smaller hamlets etc… and its being done at the £1800 cost per prem passed. The easy stuff is sub £1k each, and the really easy stuff is £500 each.